In an SEC filing, the bank said it would buy back up to $3 billion of stock during the first quarter of 2013. The bank's initial plans -- to buy back up to $15 billion in stock, which was announced in early 2012 -- sputtered in May when the bank disclosed a loss from an errant trade that ballooned to $6.2 billion. JPMorgan's stock closed slightly lower Thursday, following a dip in the broader stock market. Yet analysts applauded the bank's announcement as yet another sign of CEO Jamie Dimon's improving credibility which had been damaged in the wake of the London Whale trading debacle. On a recent conference call, Dimon said he expected these buybacks to resume in early 2013. "My first and biggest reaction was that management is delivering on what it's promised," said Dan Marchon, a research associate at Raymond James. "In the last several times the company has made announcements, the theme has been blunt honesty and clarity." The bank is also continuing to make deals to shed its financial crisis-era liabilities. The bank said it had reached an agreement with the SEC to settle its role and that of Bear Stearns, which it purchased in 2008, in bundling troubled mortgages and selling them to investors. 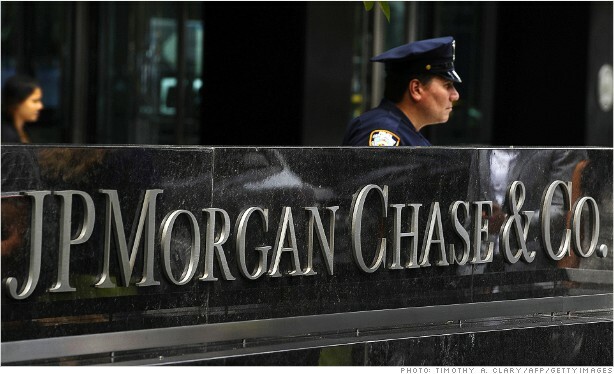 JPMorgan warned shareholders that the agreement was still subject to SEC and court approval. This SEC agreement removes just one of many outstanding legal issues for JPMorgan. In early October, New York's attorney general filed a civil lawsuit the bank over Bear Stearns' mortgage practices.